Amazon.com description: Product Description: âThe greatest woman of our age.ââWinston Churchill At the tender age of nineteen months, Helen Keller contracted a disease that severely impaired her hearing and sight. After seeking help from several people, she was finally directed to the Perkins Institute for the Blind, where she met Anne Sullivan, a woman who would change her life. Anneâs unorthodox teaching methods and her steadfast determination to reach out to other people helped Helen learn to speak, and read and write Braille. Eventually, she became an inspirational speaker, an advocate for those physically challenged, a socialist, pacifist and suffragist. 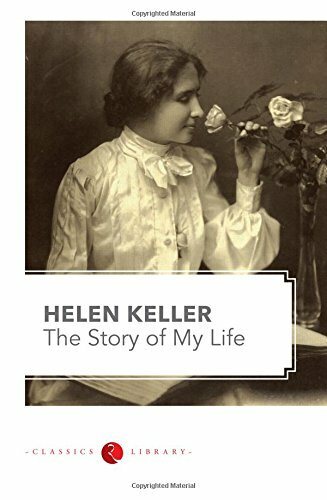 This memoir, written while Helen was a student at Radcliffe College (she went on to become the first blind person to receive a Bachelor of Arts degree) is an inspirational and moving account of a girl who triumphs over odds that might seem impossible to most, with the help and support of her âteacherâ, Anne Sullivan.